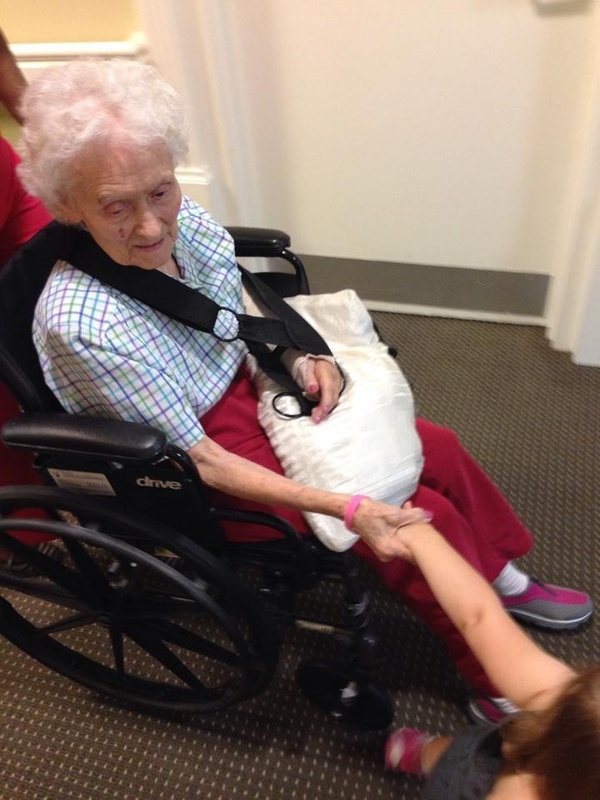 Baby Kendyll is holding her granny nanny’s hand as we take her for a stroll today. My daughter, Amber, from Denver came Thursday night for a belated Easter trip. Her kids, Riley, 4, and Lexi, 2, are the middle of my grand kids with Jordyn at 6 and Kendyll, 1. It is always a great, yet hectic, yet wonderful time for us all, as we try to sandwich months of missing one another into a weekend stay. I am going to stick with mostly photos tonight but am grateful my mom seems to be in much less pain, my contractor is a super star finishing our arena and my family for all our faults is terrific! 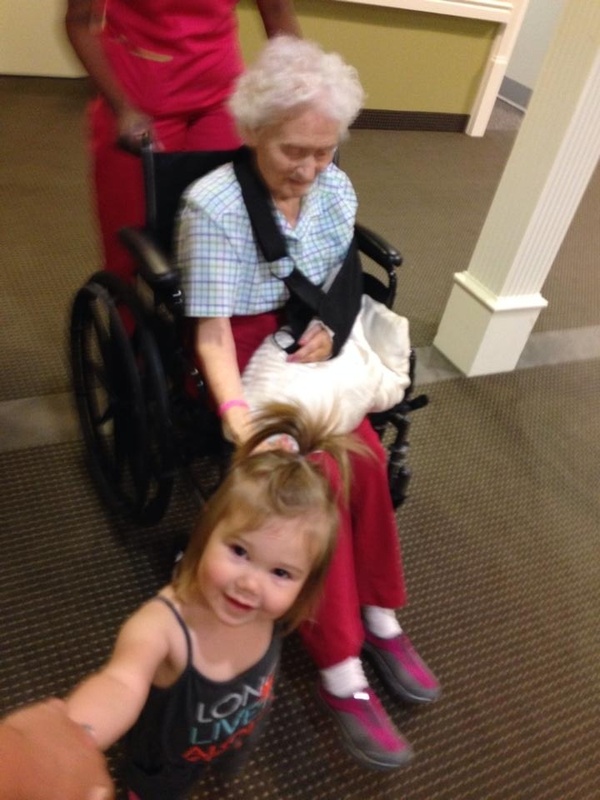 Kendyll looking out for her nanny! 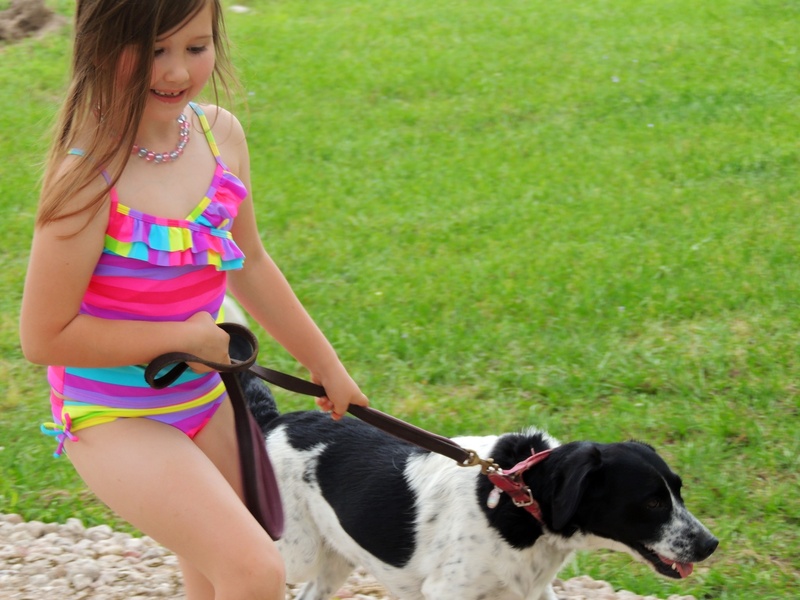 Jordyn walking her favorite dog, Muffy. 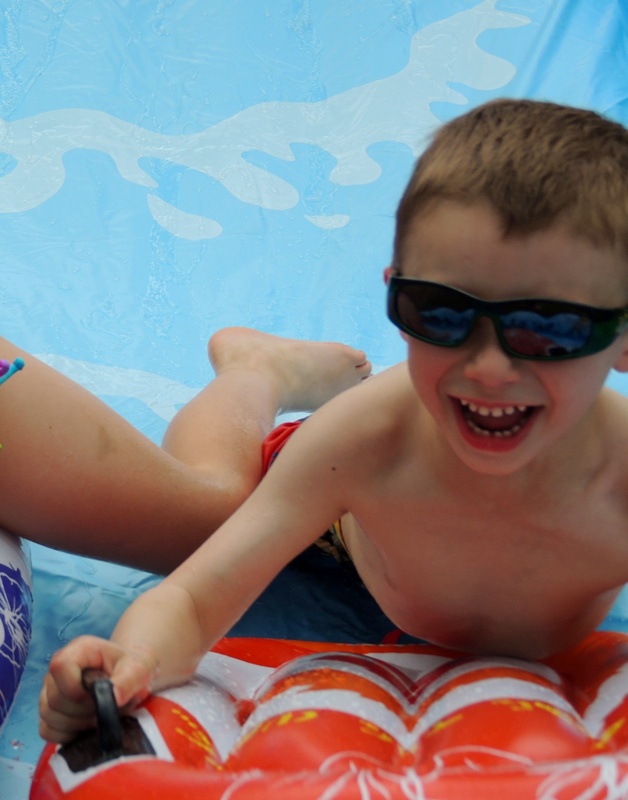 The weather was warm and the kids had fun on the slip’n slide on steroids I bought for them. The poodle could be found lying in the little wading pool trying to escape the Texas heat and humidity. The kids played hard, we ate well, and crammed as much as possible into our time. 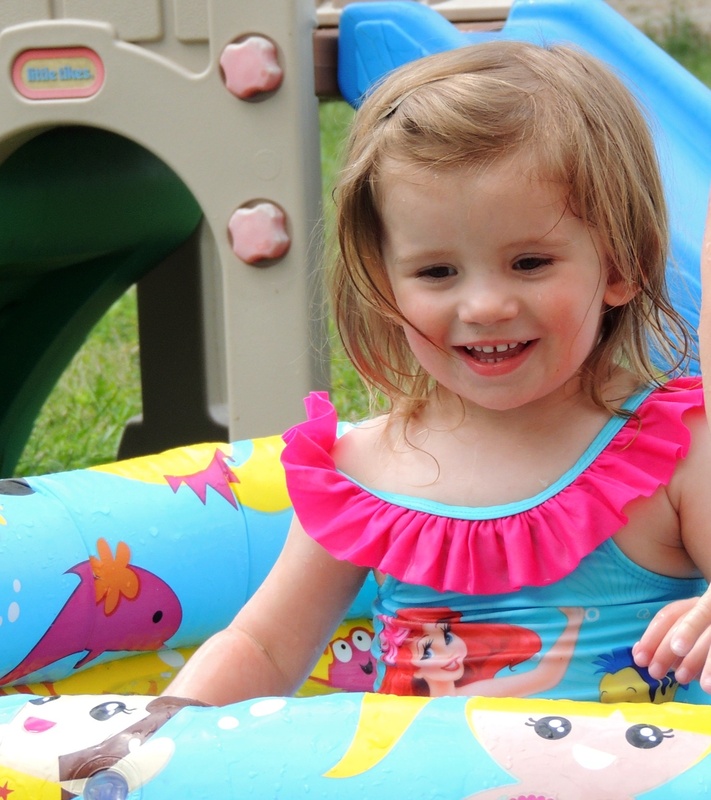 Baby Kendyll at 21 months did anything and everything her cousins did. 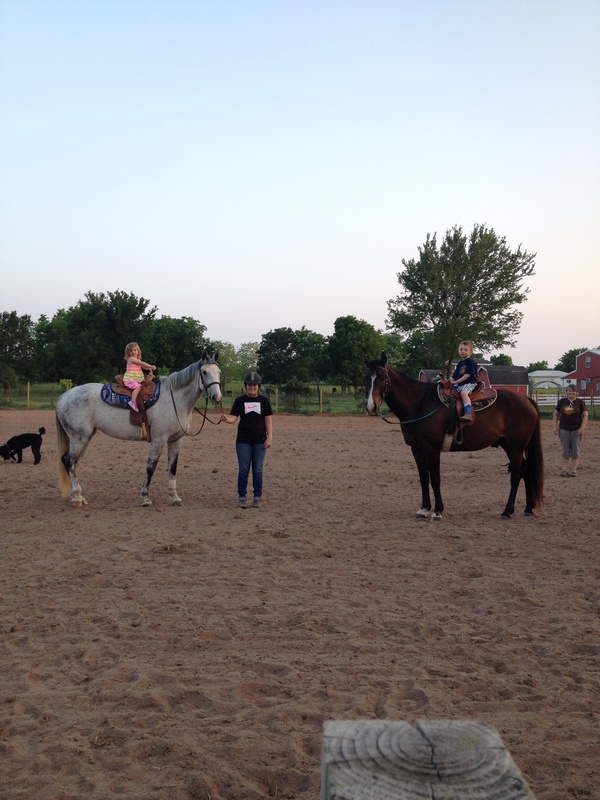 All the kids helped out at the barn last night and got first rides in the newly finished arena. 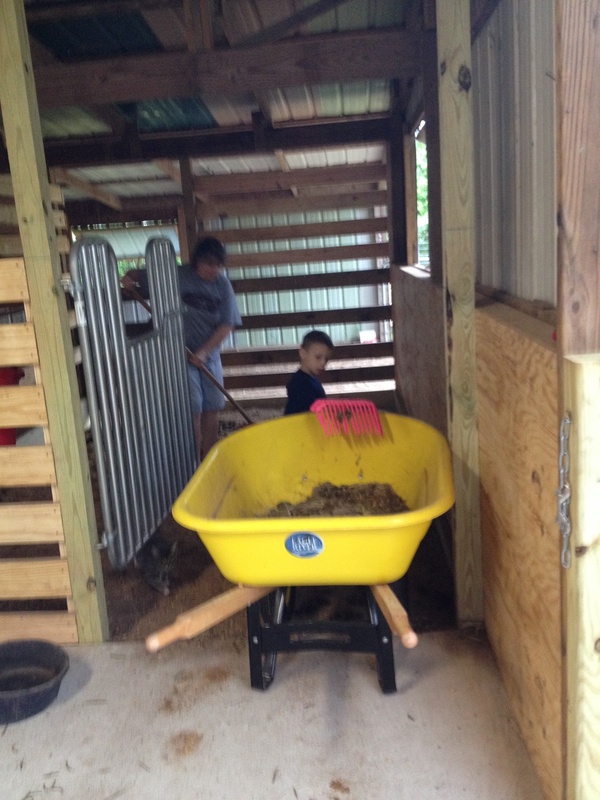 We start them early around here and everyone helped with barn chores. 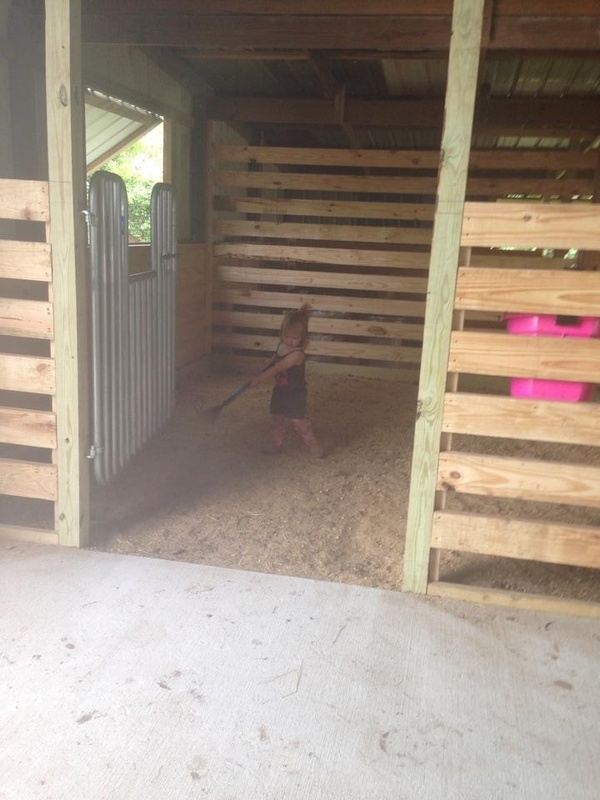 I think if you can walk you can rake. Gotta work if you want to ride. 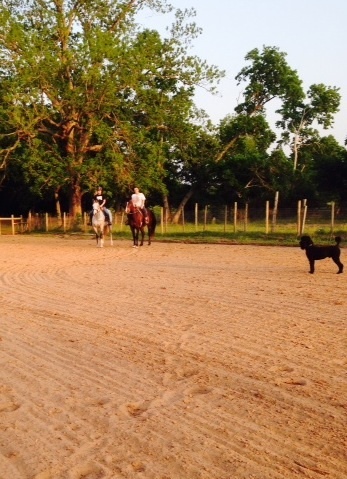 Finally, we headed to the arena for family rides. 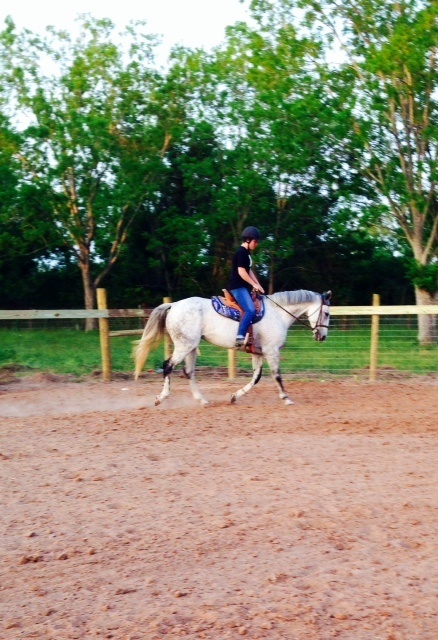 Feather’s first trip in the arena. The arena got bigger than we anticipated, but the footing came out perfectly. 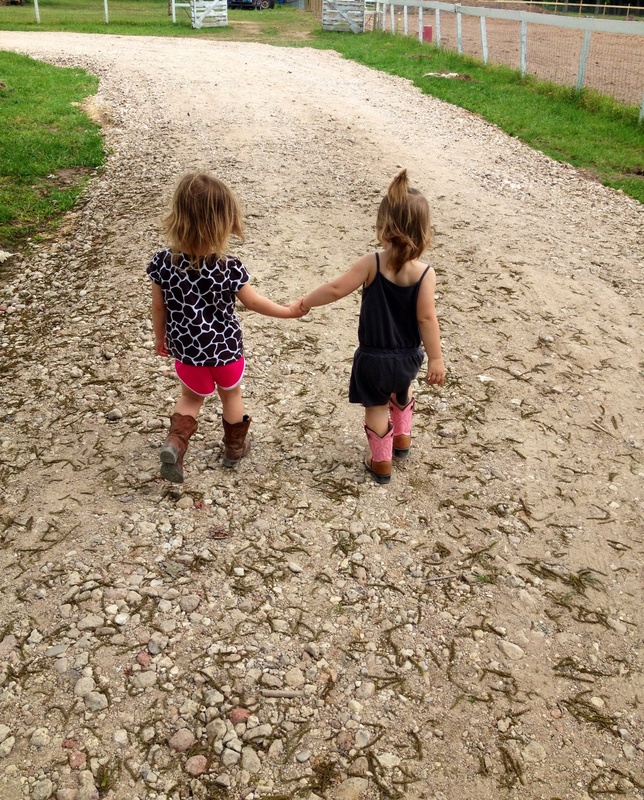 In the end, there were a lot of tears as the cousins said goodbye until their next reunion.